What turns a dull and empty house into an energetic and lively home? Well its prized possessions, of course. These items can come in many forms from various gadgets to homely comforts like bulky furniture. Whether it’s a hidden stash of cash under the mattress, a new flat screen TV, or one of THE most priceless treasures, a beautiful family, these all need some form of protection. A home is a place of refuge, and the assets are built up over time with hard work, so ensuring its/their safety becomes somewhat of a priority. There’s an ever-increasing number of threats lurking around outside, and with the countries increasing crime rate including burglary and theft more people are living in fear. For these reasons, it would be a wise decision to look for other safety measures rather than just rely on the ol’ Irish luck. Technology is always advancing and with this comes new and advanced ways to improve lives, the environment and security, hence the introduction of Security Shutters. With many purposes and benefits, they provide optimum security for any homeowner or business by protecting their properties and securely locking out any external disturbances. Once these shutters are swivelled to closed, they extend full privacy from the outside world. This means that potential intruders are unable to view what’s going on inside your property and ultimately eliminating the possibility of your home being in a surveillance and burglary situation. Security doesn’t have to mean big bolts, barbwire, broken glass spikes and burglar bars anymore. 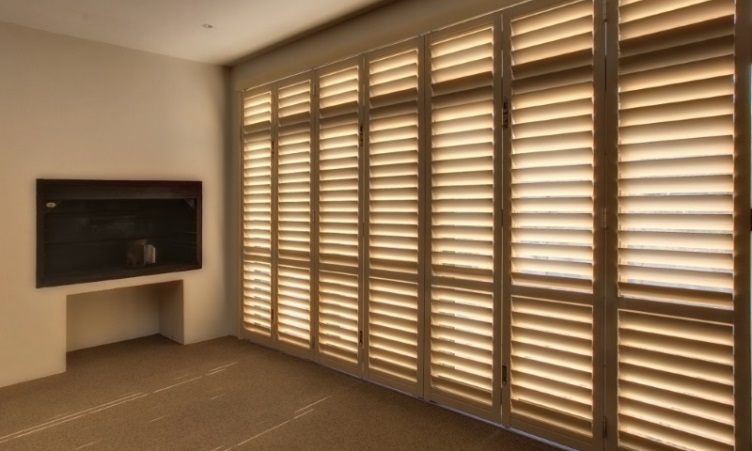 Security Shutters were manufactured for the modern day sleek lifestyle look which compliments the interior of any home. Available in a variety of styles, it brings a sophisticated feel to any home. Have a look at some beautiful designs here. Installation is straightforward, mainly when liaising with a business that specialises in the field. Installation can be done on either doors or windows and in the majority of cases even both. Light sets the ambience for any activity. No one enjoys flipping through the pages of a book, with the harsh sun acting as a sauna or obstructing vision with its sharp rays. Then again if you are settling down with an afternoon sundowner and want to admire the beautiful African sunset, you may want to rotate the slats to allow the soothing rays through. This gets us to our next advantage. Loud neighbours, traffic along the main roads, even the sound of quirky chirping birds on specific days can be a slight annoyance with deadlines or exams looming; but, security shutters can alter and reduce exterior sounds, allowing peace on the days they are required the most. A house is more than just a property. It is a personal domain that speaks volumes as to who you are as a person. Introduce this product to your home for comfortable living. Keep dangerous threats at bay and allow the shutters to deal with security and weather hazards. Don’t lose any well-deserved rest and respite from unnecessary stress. Secure your family and home. This entry was posted in Security Shutters and tagged security, security shutter, Shutter Supreme.